My personal practice began in the spring of 2013. I received my Level 1 teaching certification in the fall of 2014. Since then, I have completed two of the Level 2 modules: Conscious Communication and Vitality and Stress. Recently, I completed the Level 3 course, 21 Stages of Meditation, under the guidance of Gurucharan Singh Khalsa PhD. I am so grateful for the opportunity to study and teach Kundalini Yoga. It has been by far been the most empowering and transformational practice I have ever encountered – and it works fast! Old patterns, habits and limiting behaviors have shed away over time, allowing me to become an awake and aware human being. The practice of Kundalini Yoga nurtures growth of the highest human qualities: compassion, gratitude, humility, dignity, integrity and love for all. We gain strength physically, emotionally and energetically. We nurture our inner resources of body, mind and spirit to give us courage to face and excel through the challenges of daily life and give us a very real experience of our connection to the Divine – Wahe Guru! What more could we ask for? 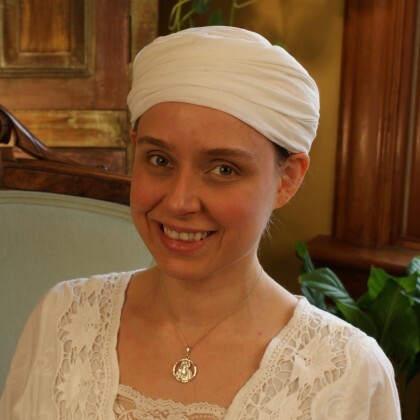 Are you a KRI Kundalini Yoga teacher from Utah & want a teacher profile. Please contact us to get a 3HO Utah account setup.